Abacus Property Group and its joint venture partner AM alpha with a bid of $112.3 million. The property was originally purchased by the venture in October 2011 for $68.75 million, with the property since being transformed into an asset with significant refurbishment and re-leasing. Abacus Property Group has said the settlement is due May 2015 although the transaction is still subject to the Foreign Investment Review Board's approval. The $2 billion light rail project, which will run all the way down George Street, is encouraging a revival of the buildings in the area. Mr Bowie Wilson of JLL helped broker the deal, telling the Australian Financial Review the George Street location, near Brookfield's Wynard Place project and Charter Hall Group's 333 George development, drove the investor interest in the building. "Parties were attracted to the property thanks to its location in a precinct that is going to be completely transformed over the coming years," he said. JLL's James Aroney also told the Australian Financial Review the location was key, with many Hong Kong based bidders wanting to own a piece of Sydney's CBD. 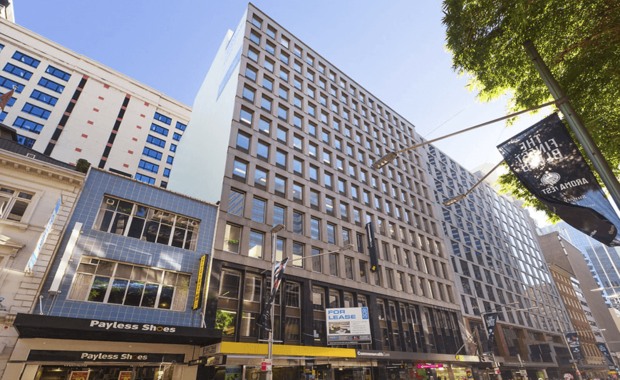 "309 George Street is one of the most strategically positioned retail and office buildings located in the Sydney CBD while offering strong repositioning upside when George Street is closed to traffic and becomes a pedestrian mall," he said.